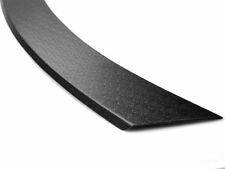 They are made from a 320 micron thick textured black self adhesive high density material specifically designed for automotive use. VW POLO 9N 9N3 2001-2009 ALL MODELS (INCLUDE 9N3 GTI). 2 X VW GLOSS BLACK FRONT / REAR BADGES. VW POLO 9N 9N3 2001-2009 ALL MODELS (INCLUDE 9N3 GTI). 2 X VW MATT BLACK FRONT / REAR BADGES. GREAT EU QUALITY WITH FULL MATT BLACK COATING DESING. VW POLO 6R 2009-2013 MODELS (INCLUDE GTI AND WRC-R). 2 X VW GLOSS BLACK FRONT / REAR BADGES. GREAT EU QUALITY WITH FULL GLOSS BLACK COATING DESING. VW POLO 6R 2009-2013 MODELS (INCLUDE GTI AND WRC-R). 2 X VW GLOSS BLACK RED FRONT / REAR BADGES. GREAT EU QUALITY WITH FULL GLOSS BLACK COATING DESING. Stainless steel bumper for Skoda Octavia 3 III combined BJ 2013-02/2017. Modell Octavia 3 III Combi. For all Skoda Octavia 3 III, type 5E, Combi/combo (also for active, ambition, style and L & K) from model year 05/2013-02/2017 (Warning not for RS models). VW POLO 6C MK5 GTI 1.8tsi 2014-2017 Late models(Facelift). 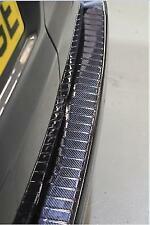 VW FULL GLOSS BLACK FRONT GRILL AND REAR BOOT BADGES X 2. FULL GLOSS BLACK FINISH. VW Parts International. Complete with fixing screws and instructions! Choosing the right Air Lift Kit. Of course it could be cancelled if after the conversation, it turns out not to be a suitable part/product for you. FRONT BUMPER GRILL. JUNE 2005 – 2008. 1 X LEFT SIDE & 1 X RIGHT SIDE. Our Part Number : 3341 LR. Not only does this item look great, it serves a practical purpose also. Box contains: 1 x Rear bumper protector. - Contoured to the shape of the rear bumper. Surface finish: Silver brushed. - 100% Stainless steel. Clean surface and install with adhesive foam tape. - Precision laser cut. Box contains: 1 x Rear bumper protector. - Contoured to the shape of the rear bumper. - 100% Stainless steel. Surface finish: Silver brushed Polished. Clean surface and install with adhesive foam tape. Stainless steel bumper for Volvo XC60 FL 2013-06/2017. Modell XC60 FL. teileplus24 L516S boot sill protector in V2A stainless steel with bevelled edge. Marke Volvo. Bumper protection. Noble Stainless steel bumper protection with bevelled edge. Contoured to the shape of the rear bumper ( profiled ). Box contains: 1 x Rear bumper protector. Surface finish: Silver brushed. Clean surface and install with adhesive foam tape. - Precision laser cut. Surface finish: Silver brushed. Box contains: 1 x Rear bumper protector. - Contoured to the shape of the rear bumper ( profiled ). - 100% Stainless steel. Clean surface and install with adhesive foam tape. Box contains: 1 x Rear bumper protector. - Contoured to the shape of the rear bumper ( profiled ). Surface finish: Mirror polished silver brushed. - 100% Stainless steel. Clean surface and install with adhesive foam tape. SCIROCCO 2008-14 MODEL YEARS (13) -SUITABLE FOR PRE FACELIFT MODELS. This high quality bumper protection is made from black ABS plastic which protects the paint work from scratches and dents when loading and unloading. Universal Non-Slip Rear Bumper Protector. Note: You will need to cut it out to fit your own rear bumper. Perfect for dogs jumping in and out of the boot or your car or van. Very easy to cut with either a sharp pair of scissors or Stanley knife. Stainless steel bumper for Peugeot 2008 2013-. teileplus24 L561C boot sill protector in V2A stainless steel with bevelled edge. The bumper protection provides full protection for the entire cargo area, and effectively protect the loading sill. Surface finish: Dark brushed. Box contains: 1 x Rear bumper protector. - Contoured to the shape of the rear bumper ( profiled ). - 100% Stainless steel. Clean surface and install with adhesive foam tape. Audi Q5 Protector Trim Cover Steel Matte Brushed. Audi Q5 Bumper Protector Trim Cover V2A Stainless Steel Matte Brushed. The high value vehicle specific Bumper Protection with a decent design forAudi Q5 (models from 2008-). VW Passat B8 Estate Rear Bumper Protector Guard Trim Cover Steel Black Sill. 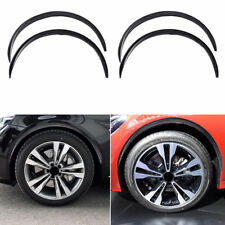 VW Passat B8 Estate Rear Bumper Protector Guard Trim Cover Steel Black Sill-. 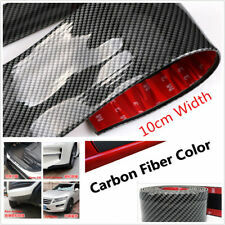 VW Golf MK6 6 Hatchback Rear Bumper Protector Guard Trim Cover Steel Black Sill-. Teileplus24 L546C boot sill protector in V2A stainless steel with bevelled edge. -V2A high gloss stainless steel with 0.7 mm thickness. -100% made of V2A stainless steel. Oberflächenbeschaffenheit V2A Edelstahl, fein gebürstet. 3-part profile-Stainless steel bumper strip with bevel. 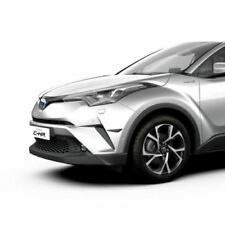 For Mazda CX-3 from year of manufacture 06 / 2015 -. Bumper protection. Marke Mazda. Modell Mazda CX-3. - Acid resistant, stainless and fine-brushed stainless steel V2A glossy with 0,7 mm thickness. This vehicle specific Bumper Protector is for:Peugeot 508 SW Estate (models 2010-2014). Not suitable for Facelift models 2014-. For Peugeot 508 SW Estate 2010-2014 Protector Trim Cover Stainless Steel. We are sure you know that when buying accessories for your vehicle, there is much more than price to consider. We endeavour to get you the best quality parts at the best prices. Whatever you are buying from us, you can be sure that we have thought about the things that you care about, because we understand that you care about quality just as much as the price. Modell VITO / VIANO W639. teileplus24 L512S boot sill protector in V2A stainless steel with bevelled edge. Bumper protection. Noble Stainless steel bumper protection with fold. - Profile Stainless steel bumper protection with fold. Stainless steel bumper for Ford Ecosport 2 II gets 2012-10/2017. Modell Ecosport 2 II. For Ford Ecosport 2 JK8, SUV (also for trend, cool & connect, titanium, ST-line) from model year 2012-10/2017. 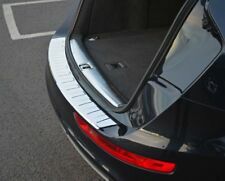 The boot sill Protector provides full protection for the entire loading area and effectively protects the loading edge. Stainless steel bumper for Skoda Superb 3 III combo ex 2015-. For Skoda Superb 3 III, type 3V, Combi / combo (also for active, ambition, L & K, Sportline Greenline style, and), built 06 / 2015 -. Marke Skoda. Fits all mk4 golf hatchback, unsure of estate and variants. VW Parts International. Of course it could be cancelled if after the conversation, it turns out not to be a suitable part/product for you. 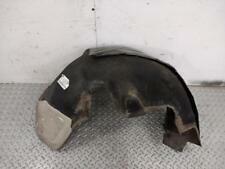 One Pair E92 E93 LCI Coupe HEADLIGHT WASHER COVER. Headlight Washer Cover Cap. Bumper trim cover. Left side and right side. Color:Like Pic Show. Otherwise deal is final. Corey will Brings You The Best Serive In The Most Amazing Prices. Modell T5 Multivan Transporter. For Volkswagen VW T5 / VW Multivan (also for trendline, Comfortline, StartLine, 4Motion, Atlantis) built in 2003-06/2015 Note: Only for vehicles with tailgate! - Exrta long 2 cm deep chamfer. Contoured to the shape of the rear bumper ( profiled ). Box contains: 1 x Rear bumper protector. Surface finish: Silver brushed. - 100% Stainless steel. Clean surface and install with adhesive foam tape. Stainless steel bumper protection with fold for VW Touran BJ. Volkswagen / VW Touran 1, type 1 / 1T 2 (also for trendline, Comfortline, Highline, Cross Touran) from model year 2003-2010. Modell Touran 1 I inkl. 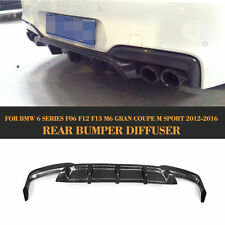 Stainless steel bumper with lip for BMW X 3 F25 BJ. Modell X3 F25. Bumper protection. - Profile Stainless steel bumper protection. The bumper will be mounted with an already attached special tape on the vehicle. Stainless steel boot sill protection for AUDI Q3 from Bj. STAINLESS STEEL BUMPER GUARD for AUDI Q3 from BJ. Fits AUDI Q3 from year 2011 - to date. The bumper protection provides full protection for the entire cargo area, and effectively protect the loading sill. V2A stainless steel bumper for VW Touran 2 II (type 5 T) 2015-. teileplus24 L553S boot sill protector in V2A stainless steel with bevelled edge. - V2A glossy stainless steel with 0,7 mm total thickness brushed and embossed. Modell V-Klasse & Vito W447. for Land Rover. Floor mats. teileplus24 L556C boot sill protector in V2A stainless steel with bevelled edge. The precise profile fit and very good processing set quality standards.